Replacing the vinyl siding at your home is a job that is best left to the professionals. 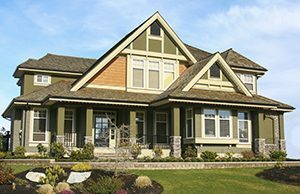 And in Fort Walton Beach, Florida, the company to rely on for premium siding and skilled installations is Majors Home Improvement. We are a full-service home improvement company that has been family owned and operated since our founding in 1997. We have earned an A+ rating with the Better Business Bureau, as well as various industry awards, due to our commitment to providing excellent customer service. Energy efficient – Your home will be wrapped in a thick blanket of insulation that delivers exceptional R-value performance, helping to reduce your heating and cooling costs. Durable – With a high-performance finish, this siding will resist scratching and other abrasions from everyday wear and tear. Hailstorms and wayward baseballs have nothing on this sturdy material. Beautiful – You’ll be able to choose from a wide variety of versatile colors, all of which have a low-gloss finish and fade-resistant technology. Your durable vinyl siding will be expertly installed by our team of experienced craftsmen. They will also be respectful of you and your home, providing you with Red Carpet Service throughout the entire project. To learn more about the vinyl siding we install, contact Majors Home Improvement today. We’ll be pleased to schedule a complimentary consultation at your Fort Walton Beach, FL, home.